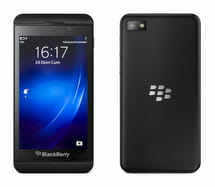 There are many benefits to having a BlackBerry, such as access to Internet sites, tracking email accounts, exchanging and viewing all types of files, organizing your agenda, among others. But, in addition to using your smartphone for work or education, you can also download games that work perfectly with your phone's trackpad or touchpad. Below is a list of interesting games that are perfectly optimized for your BlackBerry device. They range from classic games — like Tic-Tac-Toe, Snake, or Tetris — to more complicated strategy games. FallDown is a fun game, whose purpose is to prevent the ball from touching the top of the screen. In this game, the orientation of the ball is controlled by the touch panel. You can set the difficulty levels and background of the game screen. BubbleBirds is a classic bubble game where you have to throw bubbles and match them with other bubbles of the same color. Doing so breaks the bubbles and prevents them from colliding with the bottom of the game screen. Hangman is a Hangman-style game, where you have to guess the names of famous people, movies, and songs in order to accumulate points. The game offers the option of giving clues for each question, but the score will be reduced if you ask for help. To keep the game fresh, a set of new questions is created every day. Xploding Boxes is an entertaining strategy game. It consists of exploding all of the boxes on the screen in order to be able to move on to the next level. There are more than 100 levels, which makes for a very varied gaming experience. The game is controlled with your phone's touch panel. Caro is a remake of the well-known game, Tic-Tac-Toe or michi. The difference is that instead of forming a line with 3 crosses or circles, you must form a line with 4 of these. You can also play with your BlackBerry Messenger contacts. Snake is the classic and well-known game where a snake increases in length as it collects food. You must prevent the snake from clashing with walls or level obstacles. The snake movement is controlled with the trackpad. TSV Tetris is modeled after the classic game of Tetris. It consists of matching pieces of different sizes and shapes, with the aim that these pieces will eliminate themselves. If you fail to match them strategically, the pieces will pile up until they reach the top of the screen, at which point you lose. In the game, you can change the position and orientation of the different pieces, while making sure not to hit the the sides of the screen. Bubble Gum Air is a fun adventure game. The main character of this game is a monkey that is chewing bubble gum. When it is inflated, the monkey goes up; when it deflates, the monkey floats down. The only key used in the game is the space bar, which this inflates or deflates the chewing gum. The obstacle of the game is in the form of birds who pop the chewing gum bubble. As you move between levels, the difficulty increases. Published by MelissaCCM. Latest update on October 23, 2017 at 07:01 AM by Olivia Long. This document, titled "Download Games for BlackBerry Smartphones," is available under the Creative Commons license. Any copy, reuse, or modification of the content should be sufficiently credited to CCM (https://ccm.net/).